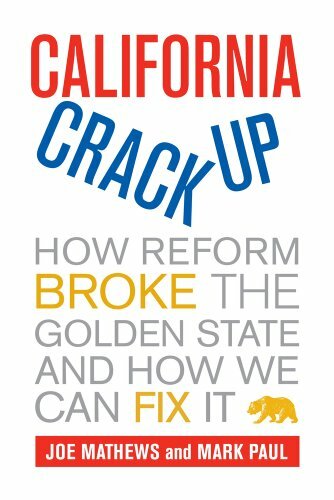 Michael Hiltzik tells us at the Los Angeles Times that California’s initiative system is big, noisy, and expensive. The role of big money shouldn’t be accepted as “the new normal,” he argues. He’s right about not settling for what we have. Like a lot of people, he’s wrong about this year being something new. Big money from wealthy political players and interest groups has been part of the process all along. Before there was Tom Steyer, the San Francisco hedge fund operator behind Prop 39, there was Rudolph Spreckels, the San Francisco sugar magnate, behind Hiram Johnson and the creation of the initiative. Current figures suggest that spending on this year’s initiatives will top $360 million, or about $20 per eligible voter. That’s a lot of money. The spending per voter is about twice what Nike spends each year per Californian to sell us shoes and sports gear. It’s also more than the $285 million that organizations and individuals spent last year to lobby the Legislature. But then we shouldn’t be surprised that it’s a lot more expensive to communicate with 18.2 million voter-legislators than it is to communicate with the 120 people we send to the state Capitol to represent us. But adjusted for inflation and the growth of the number of voters in the state, this year’s initiative campaigns will spend less than was spent on initiatives in 1988 or 1998, two other big years full of controversial measures. What Hiltzik calls the “new normal” is, regrettably, just normal.